Here’s how you take your strategy from a grand plan to the real deal. 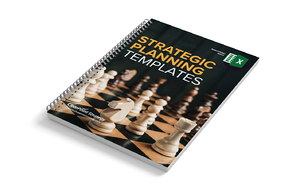 Your organization is ready to tackle strategic planning, but where do you start? You need a strategy framework, but building one from scratch can take time and resources you don’t have. Use these free templates to jump start your planning process. Add your strategy into these frameworks, and you will be off to a good start.